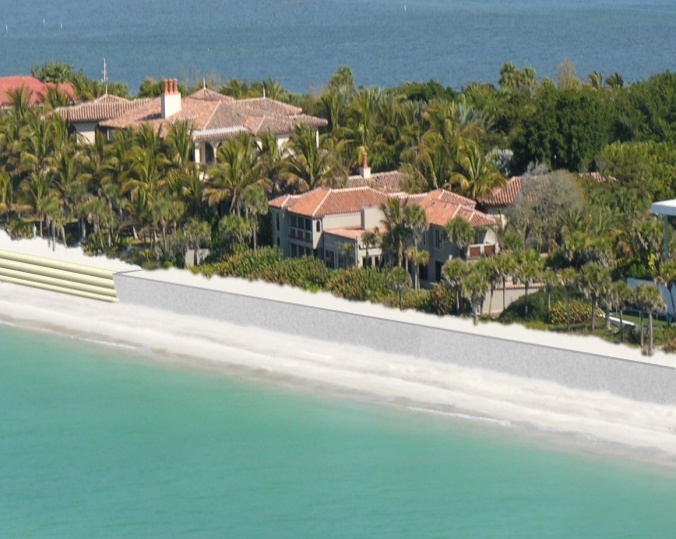 Summary: Erickson Consulting Engineers, Inc. (ECE) was responsible for managing all design, permitting, engineering and construction for a 500-ft vertical oceanfront steel sheetpile wall to protect storm-threatened upland properties. Shoreline data was obtained and storm erosion model simulations were performed to assess a 15 and 25-year return period storm event beach/dune erosion. A 500-ft cantilevered steel sheet pile wall was designed based on storm erosion data, geotechnical investigation of upland soils and scour analysis. 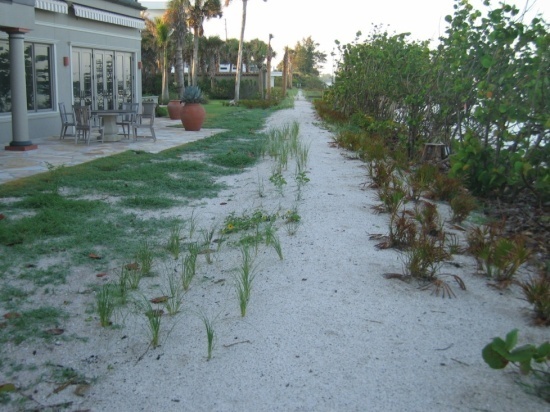 Environmental studies and comprehensive planning included assessment and design of a dune re-vegetation plan to comply with state regulatory permit requirements. 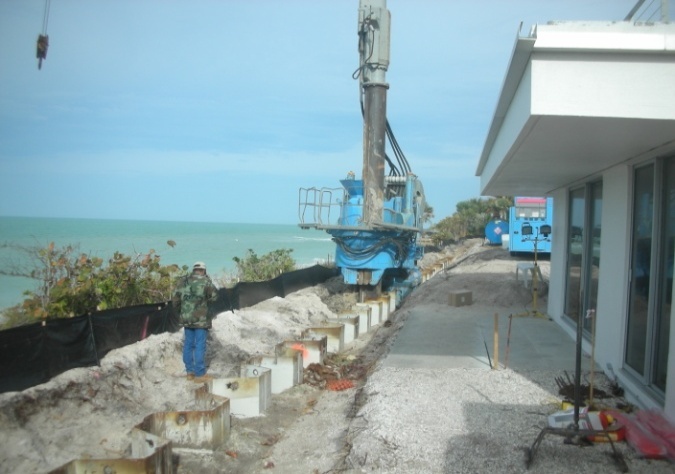 Challenges: Due to very limited site access and the close proximity of residential structures to the seawall, a hydraulic press-in system was used to install the 40 ft steel sheet piles. The system “walks” on top of the sheet pile wall with a minimal required 7 ft wide work area and with minimal vibration. 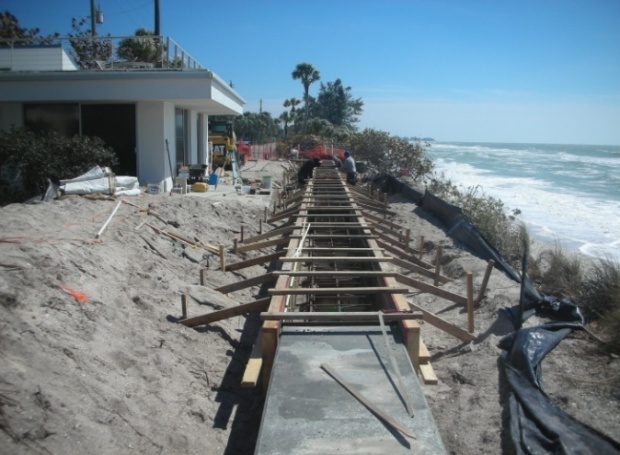 In addition, the project required that an existing utility watermain be passed-through a section of the seawall.